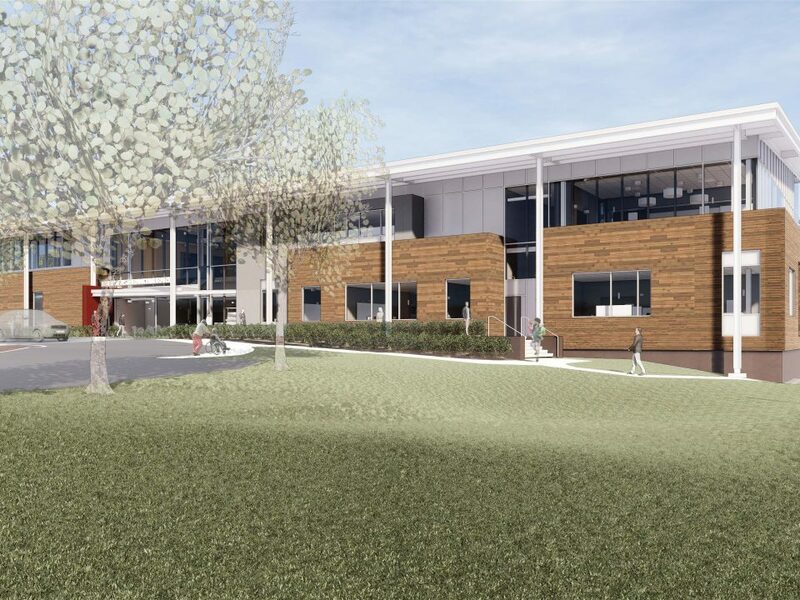 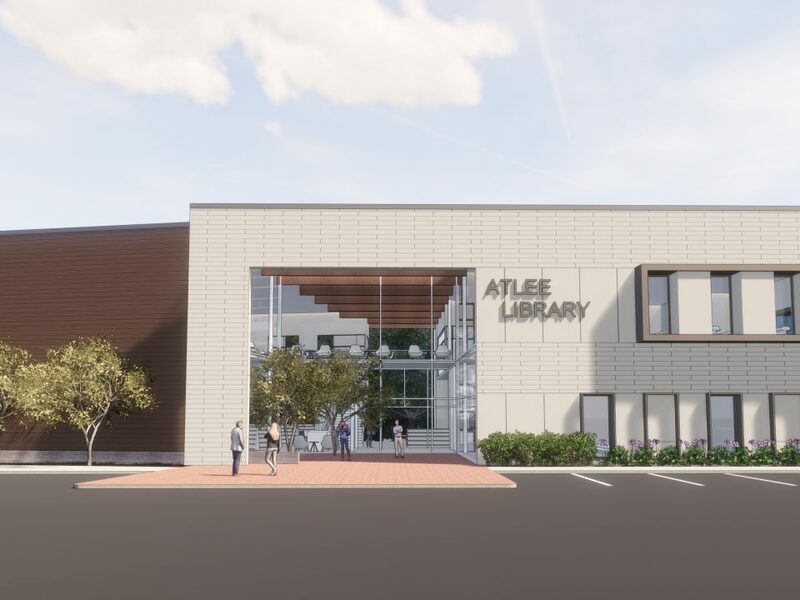 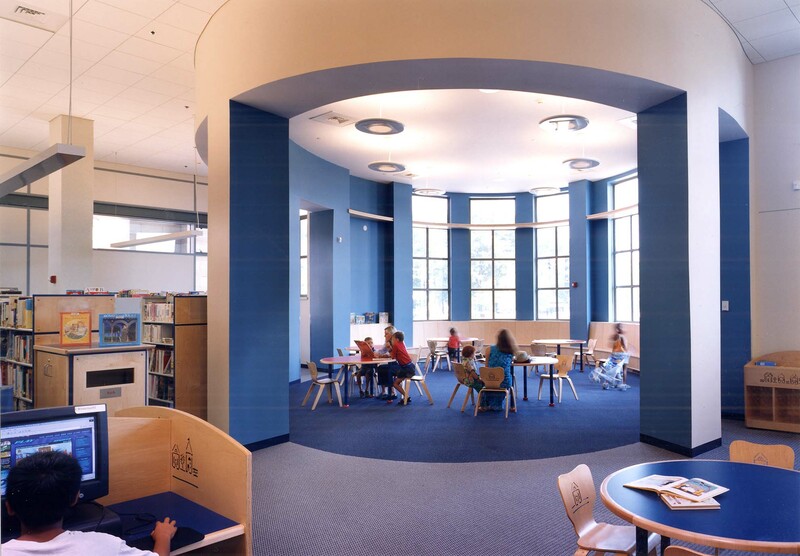 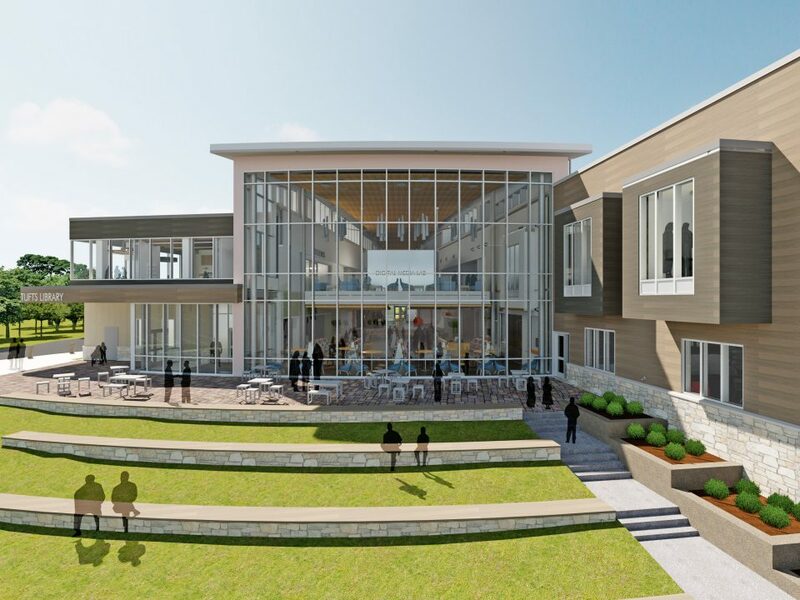 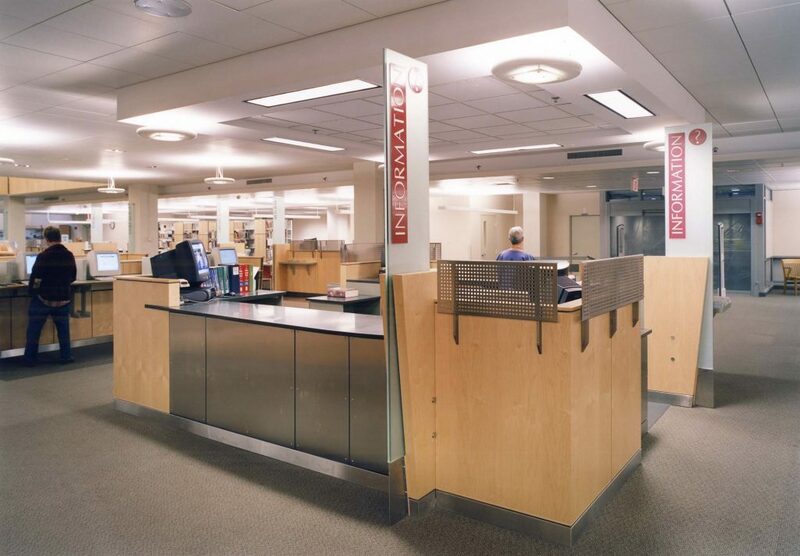 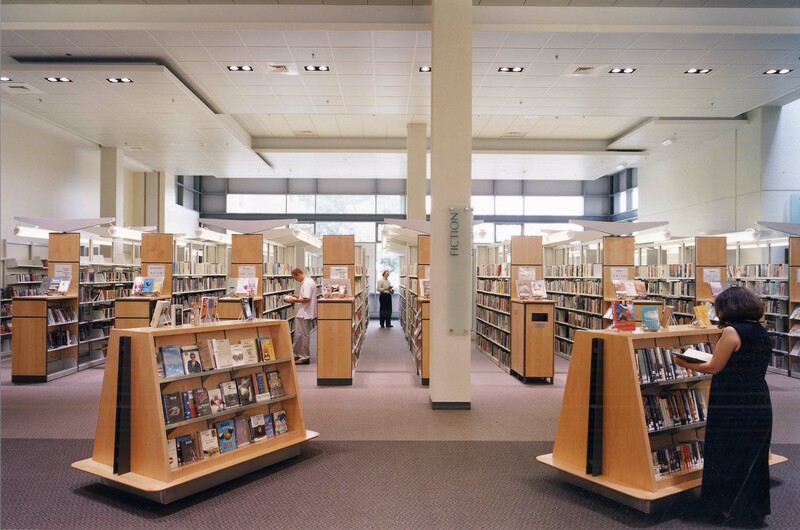 Tappé’s Schematic Design efforts resulted in the receipt of the second largest grant awarded by the Commonwealth of Massachusetts to a library project. 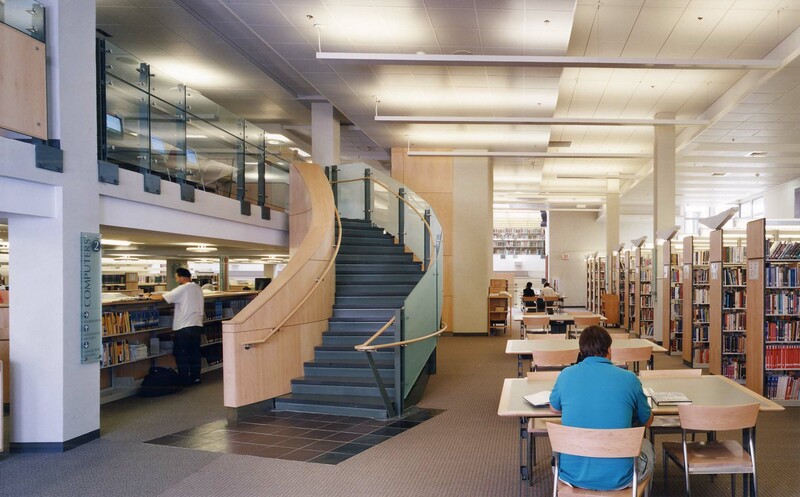 As the second largest public library in Massachusetts, the Worcester Public Library is a significant civic building located on the perimeter of Worcester Common. 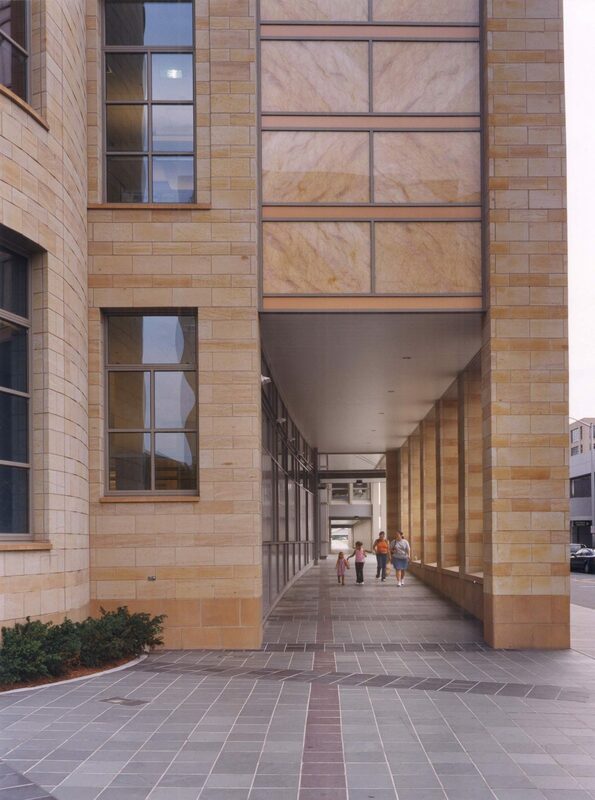 Across from City Hall, the building helps define a major public space within the city and has contributed to the revitalization and rebirth of the downtown area. 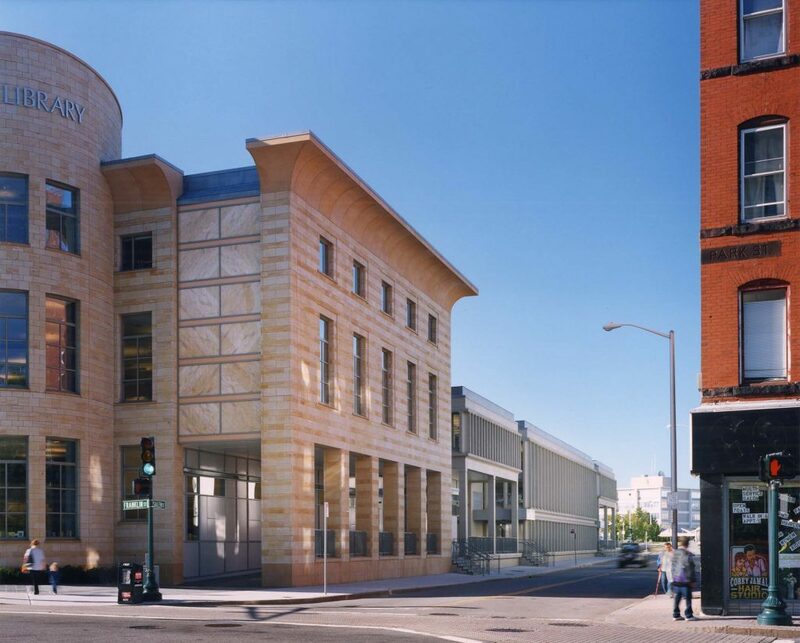 The new stone façade is defined by the extension of a pre-existing arcade with glowing translucent stone cladding above and by an oval-shaped bay. 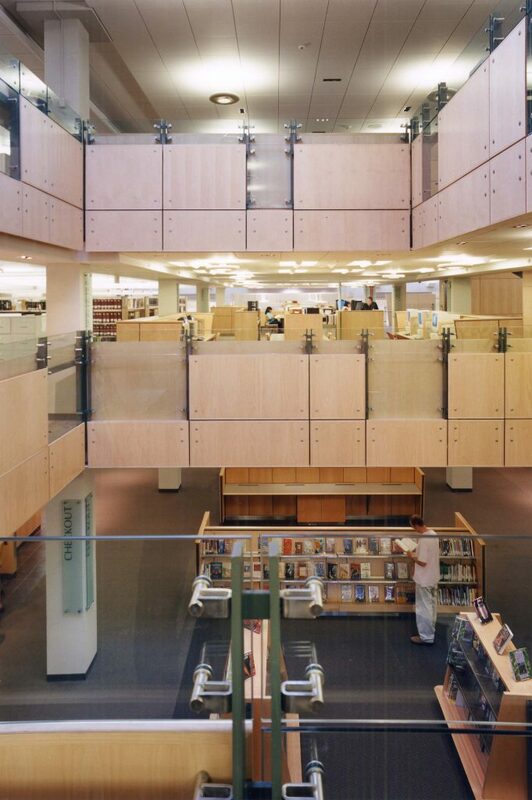 The interiors integrate public art through the use of elements such as art glass panels and decorative metal gates. Every aspect of the library is in a new and more convenient location and the character of these areas is imbued with a consistent design theme that creates an ambiance of lightness. 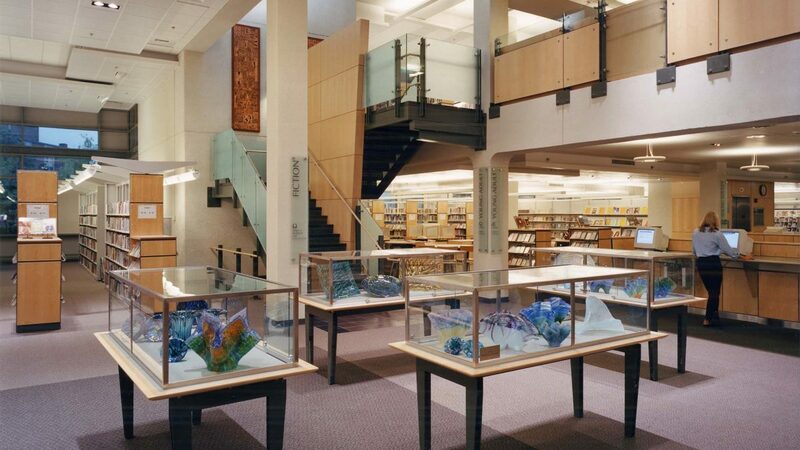 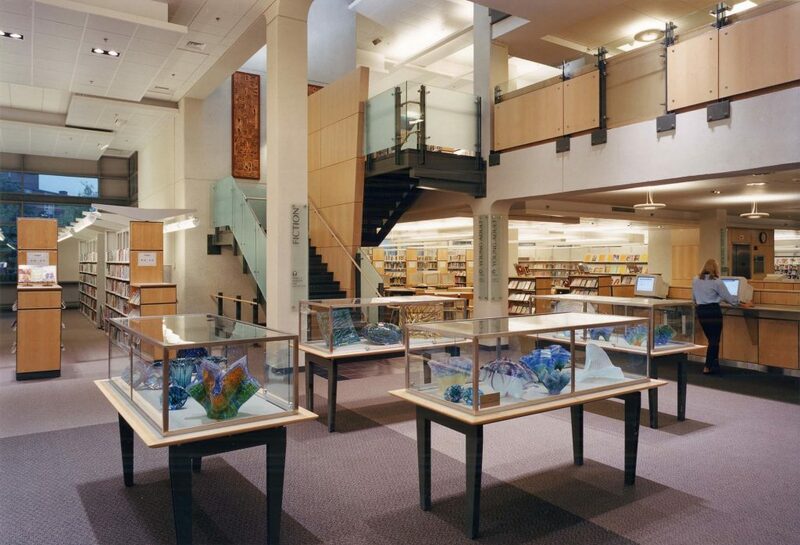 A linear plan organization draws patrons from dual entrances along a “collection interface zone”—which features special lighting, furnishings, and displays—to elliptical reading rooms on two levels that feature views of Worcester Common.